We organize Yoga teacher training in India at various locations like Rishikesh, Goa and Dharamsala. Yoga Teacher Training India throughout the world is resembled by Yoga Faculty for the impeccable training that our Yoga Teachers provide. Our yoga teacher training courses are included Ashtanga yoga, Vinyasa yoga, flow yoga, power yoga and Hatha yoga. 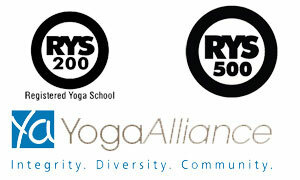 It is an international yoga training course recognized by the Yoga Alliance USA. Our attributes is 200 hours of yoga teacher training course of restraint and keenness. Our yoga course is designed for basic yoga learners. Yoga practitioners are covering all aspects of yoga benefits, corrections, alignment, modifications, limitation and contradictions of yoga postures. In 4 weeks yoga training course, you can practice yoga with self discipline and cultivate awareness of soul, mind and body naturally. With successful completion of yoga courses, all students can receive 200 hour yoga training certificate that make them to register with international yoga federation in their country. Inside is a pure environment with 4 spiritual peaces. It is supplement personal spiritual growth and self reflection. We generalize capacity for self introspection. With small group personal mentor is facilitated to increase accuracy and exactness of posture. There are 25 students in yoga course. We make an intensive practice of meditation and yoga under personalize supervision. We are well experienced and dedicated master and yoga tutors. Our syllabus is well detailed and clear with concept and enriches students in reality. We make understanding skill and psychology to teach people in different yoga level and backgrounds. 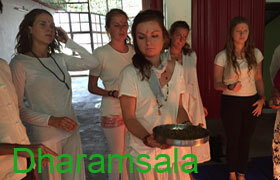 We also arrange any additional lectures from guest lecture, master spiritual, saints and yoga philosophy. We organize group discussion to change any opinion, experience and ideas. We make the enrichment of yoga content. We arrange principles Ayurveda by guest tutor and extra lectures. At yoga teacher training in Rishikesh, Ayurveda is one of well established alternative yoga therapy.